ART QA SUMMER Issue #5. 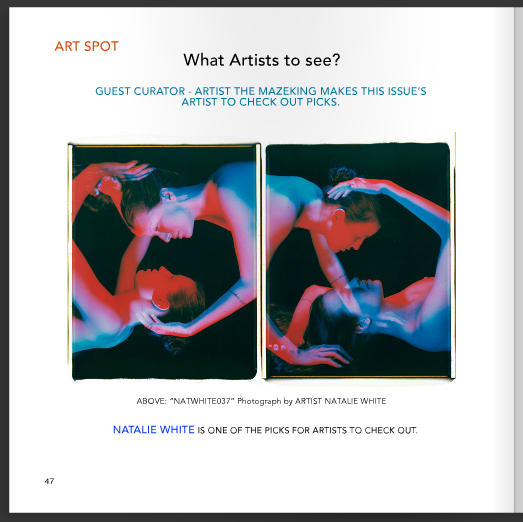 ART QA contemporary arts magazine featuring artists interviews, art reviews, special features and more. In this Summer 2016 issue we feature interviews with artist’s Vakseen and Ehsan Mehrbakhsh and we invited artistThe Mazeking (Gabriel Asoka) to be our guest editor and curator for this issue. 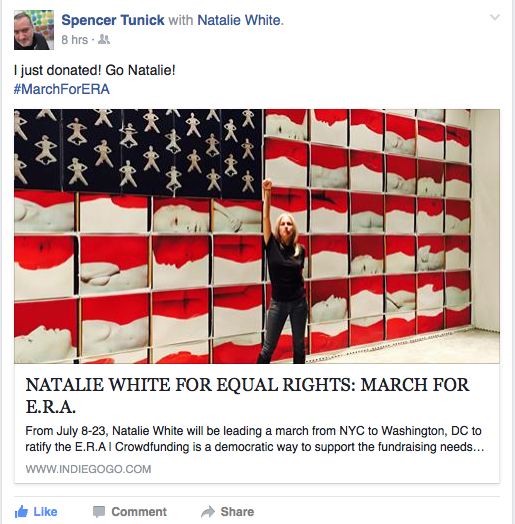 During this exciting time I am launching the show, fundraising like crazy for the #MarchForERA, going to every event that can get me exposure to carry the needed momentum to make the ratification of the Equal Rights Amendment a reality. When fellow artists of every imaginable type support me I am very grateful. McVey: Do you feel that “feminism” is currently being commoditized to a degree in the art-world? 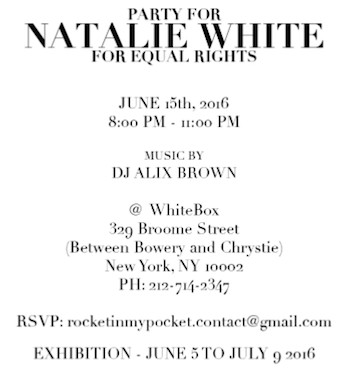 White: No, but I can’t believe what’s going on at some of the top-level galleries with these all women shows. They get called out for having a history of all male artists then they call up all of the female artists they know and put them in a show together. Why? Because we aren’t good enough to show with men? So we must have our own group show? Having an entire history of discriminating against women in your gallery then having a group show of all women is like saying, “I’m not a racist. I know a black person.” Women should be on their roster, not thrown into a group show together so the gallery owner can claim forever that he doesn’t discriminate against women. May 1976, the National Organization of Women (NOW) brought 16,000 supporters of the Equal Rights Amendment (E.R.A.) to march in Washington. 1977, 4,000 people marched down Pennsylvania Avenue. 1978, NOW organized over 100,000 people to march on Washington. This March for Equality was the largest in feminist history to date. Marchers struggled through 95 degree heat to hear NOW President Smeal and other leaders speak on behalf of the ERA. Women from diverse backgrounds marched in a sea of purple, gold and white banners (reflecting the suffragist colors), to press for an extension of the time limit on ratifying the ERA — which they won. 1982 The ERA was defeated — three states short of ratification. 1992 March for Women’s Lives. Do you think that the ratification of the ERA will win the fight for equality, or will there be more work past that? #MarchForERA …2 days from the start of the march I am thinking about these things. On the 12th of the month I will be at the Alice Paul Institute along my route from NYC to D.C. I hope you will join me! WE are raising funds as we go along, leaving NYC on Friday morning on a wing and a prayer! Please support me, every 10$ donation will help get us to the next town in the 250 mile journey of which I am walking every step! Thank you to all of the enormously generous supporters to date!! I am grateful beyond compare!